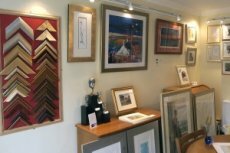 Welcome to Grange Meadows Framing..
We provide a competitively priced, personalised service for a wide variety of framing services. We specialise in framing fine art prints, oils, watercolours, needlework and sports shirts/memorabilia. Check out some examples here .